Where have we heard this before? Yes, in the prophetic texts of Biblical Scripture. It is no coincidence that when the Bible describes the future Second Coming of Christ in power and great glory in defense of Israel that it also lists the nations that He fights against by name. 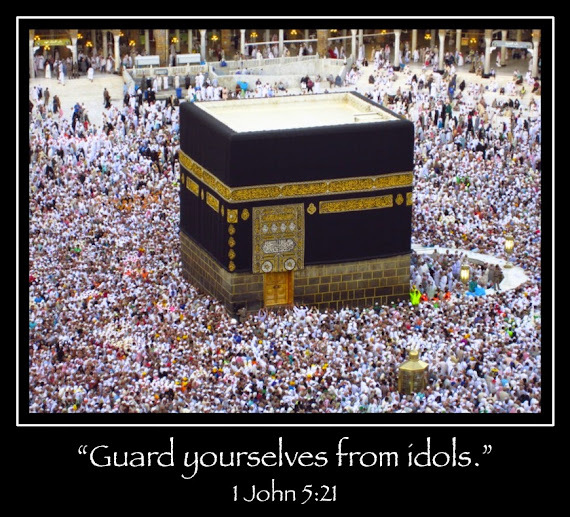 Every nation that is identified in Scripture is today an ISLAMIC nation. Let’s also consider the following. What is the common denominator of all the nations that surround Israel today? They are all Muslim. In the context of Armageddon, Old Testament prophets allude to a geographical limitation regarding the armies of the Antichrist/Beast kingdom that unite against Israel by mentioning some very specific details. The prophets Zechariah, Joel and Ezekiel all show us that the hegemony of this predatory army/empire that would seek to destroy Israel is limited geographically by telling us that the *surrounding nations* or *neighbors* are those who will be gathered against Jerusalem, not every nation of the earth universal as many have often assumed. Recommended: What Is The War Of Gog-Magog? Recommended: Antichrist: Leader Of A One-World Government? PressTV – “Turkey has urged Islamic countries to review their ties with Israel after dozens of Palestinians were killed by Israeli fire on the Gaza border. Yildirim said that after the summit at 3:00 pm a giant rally would be held at the vast Yenikapi meeting area in Istanbul under the slogan of ‘Stop the Oppression’ to express solidarity with the Palestinians. ‘This has nothing to do with party politics. This is to show solidarity, brotherhood and togetherness,’ he said. ‘The Islamic world should move as one, with one voice, against this massacre,’ Yildirim added.” Read more. Christ also warned us against the “)ews” Revelation 2:9 I know thy works, and tribulation, and poverty, (but thou art rich) and I know the blasphemy of them which say they are Jews, and are not, but are the synagogue of Satan. Warns against false Jews, not Biblical Jews. We will know them by their fruits. What is a false jew as opposed to a biblical jew?It seems to me to be a biblical jew according to the new testament you would be a jew that has trusted in Jesus for forgiveness of sin. In a nutshell, according to the NT, a “false Jew” is one who is a descendant of Israel, circumcised in the flesh only but not circumcised of the heart and faithful to God. These are they who have rejected their Corner Stone (cf. Psa 118:22, Matt 21:42, Acts 4:11). There was much political and religious tension during that time between the Jewish and non-Jewish community, but suffice to say, for the sake of unity between Jewish and non-Jewish followers of Yeshua, Paul wanted them both to understand that God was not simply the God of Israel alone. He is the God of all nations and in the eyes of God a true “Jew” was not a Jew because they were simply born of Israel. A true Jew was the remnant of Israel that was born of the Spirit, those who have not rejected their Corner Stone, the Rock through whom all Gentiles who believe would themselves be adopted into this family to become fellow heirs, fellow members, and partakers of the promise in Messiah.